Colour, form and patterns dance within my soul. 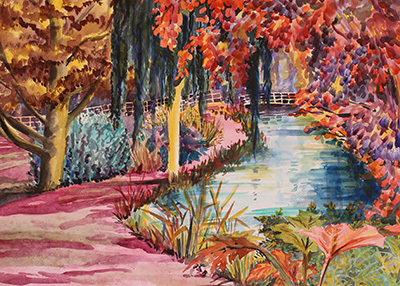 Louise Gunnersen is foremost a colourist and an established international painter influenced by her surroundings, travel and constant appreciation of other artists. 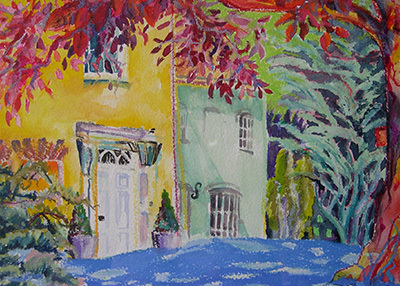 Louise works in a variety of mediums, subject matters, styles and sizes, and is happy to take commissions. 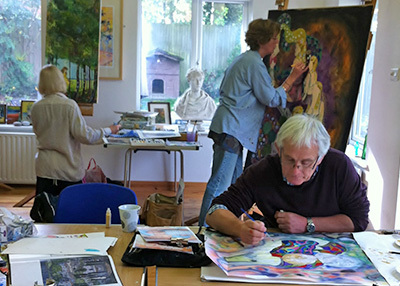 Interested in the beneficial aspects of the unpredictable process of creativity, she experiences that the mind can be taken to a level of wellbeing and personal meditation, becoming absorbed by the stroke of a pure line, intensity of layering oil paint, the twist and turns of design or the power of colour. Sharing with others her enjoyment of the subject, not only in her own art, but also on offer are bespoke art teaching, and celebratory art parties.